As you'd expect in a World War II wargame, you can collect and field an army of any of the major combatants, including Britain, America, Germany, Russia, Japan, and many more. Bolt Action players generally concentrate on collecting the forces of one particular country. You'll be spending a lot of time painting and playing with your army, so choose wisely! Armies books contain detailed information, rules and history for the forces of a particular nation. Each book has army lists which detail the units that historically fought together at different stages in World War II. 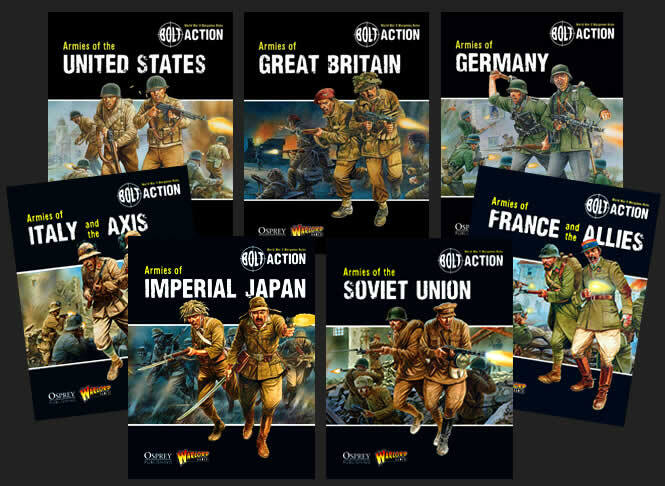 These Bolt Action supplements each focus on a particular theatre of operations from World War 2 such as the Eastern Front or the Pacific. 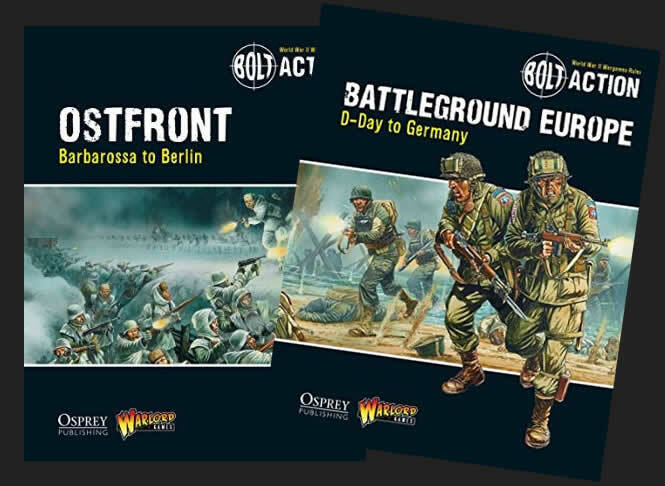 Each book provides detailed history, scenarios, army lists and rules for specific historical units and characters, allowing the player to immerse themselves further into the specific conflict. While the core rules of Bolt Action are based on infantry platoons with a handful of supporting vehicles, Tank War allows you to field armoured platoons - entire armies of tanks, armoured cars and mechanised infantry. Included are rules for vehicle crews gaining experience over a series of games and for fielding legendary tank aces! 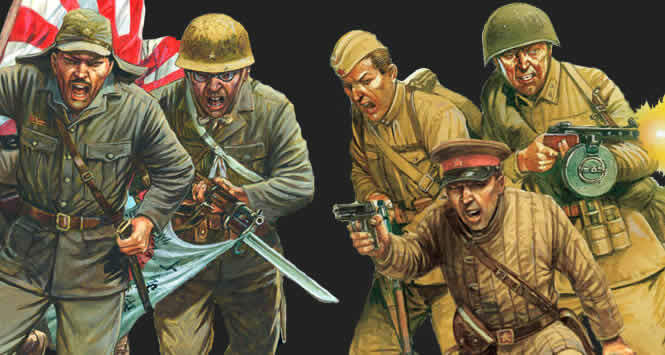 The Warlord Games website has hundreds of articles on Bolt Action, covering how to paint your figures, battle reports, new scenarios to try out, the latest releases and showcases of fantastically painted models. We also publish regular official updates for the game - FAQs and errata, extra rules for newly released models, new army lists and tournament guidelines. 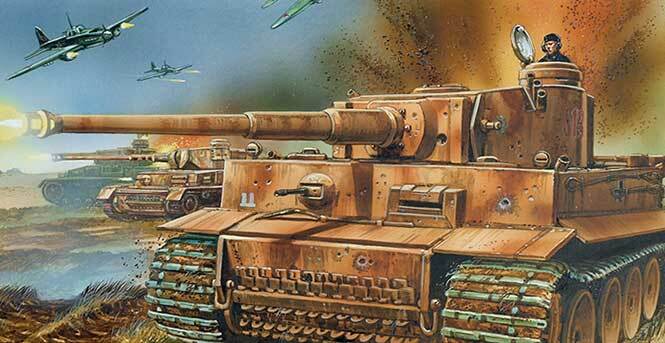 Finally our Forum is the place to connect with other gamers, find opponents, show off your painted models and discuss the latest Bolt Action developments!